Boys can be Earl and Duke, Rex and Roy. So why not this regal appellation? Thanks to Sassy for suggesting Taj as Name of the Day. Taj means crown, but odds are you’re thinking architecture. And the Taj Mahal is, indeed, one of the world’s architectural marvels. The Taj Mahal was built back in the seventeenth century as the final resting place for Mumtaz Mahal, the favorite wife of Emperor Shah Jahan of the Mughal Empire. Should you find yourself in Agra, India, it’s a must-see. 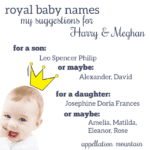 So Taj appears in baby name guides with the definition crown, making him slightly less obvious than naming your son Rex or King, but only slightly. While you might not know a Taj, he’s not a true rarity. Instead, he’s ranked in the US Top 1000 for boys twice – in 1976, he debuted at #994, then vanished. In 1998, he dipped in again, ranking #956. WNBA star Taj McWilliams-Franklin is Detroit Shock’s #44. The Mowry family of actors – Sister, Sister twins Tia and Tamera are most famous – also includes brother Tavior and Tahj. A nineteenth/early twentieth century politician, Taj al-Din al-Hasani was the former Prime Minister of Syria. So there’s a case to be made for Taj as an authentic heritage choice for families of Middle Eastern descent. Or maybe calling your son Taj is closer to naming him Lexus or Killian. The Taj Hotels are luxury resorts, headquarters in Mumbai, India. (Let’s not even imagine that Trump’s Taj Mahal resort and casino might inspire parents.) And a popular Indian lager is known as Taj Mahal beer. Overall, Taj is brief, but complete. He could make a logical little brother to Kai. And while he can’t be considered classic, his roots are real. If you’re looking for an exotic, cross-cultural name that is surprisingly easy to spell and pronounce, Taj might be one to consider. I’m not a big fan of one syllable names, especially on boys, so Taj isn’t really for me. I teach a little Taj this year – his last name is Greek too, so it looks a little bit mismatched ! There’s a pretty well-known American blues musican called Taj Mahal, (born the well-named Henry Saint Clair Fredericks.) He’s preformed for over 40 years, so I wonder if he’s a namesake for some of the African American children named Taj? Oh yeah, a friend of my parents dated Taj Mahal for a while. Isn’t that funny? Not my style, but it does have that sort of “Way rad, Brah!” surfer kind of vibe to it. A modern Jeff Spicoli, brother to Kai or Jace. I’m not big on one-syllable names in general, but three letters is definitely too insubstantial for me. He would also make a great brother name for Jai. Taj is cool, and you’re right — Kai and Taj would be handsome brothers. I never really linked this name to India, probably because I have known two boys named Taj and one name Tahj and they were all black children. I hate to stereotype people, but I assumed it was one of those names reserved for people of African descent, kind of like Nichelle (I’ve known two Nichelles) and Kenya (I’ve known three Kenyas). Thinking about it, and reading your post, Abby, it’s like a “duh!” moment. Obviously it’s related to India! I really could have put that together had I thought about it long enough. It’s not a name I’d choose (shocker, right? I’m always a downer.) but has a smooth sound, and is interesting because it ends with a J. The only other name I can think of like that is Raj, from What’s Happening?, that 1970s TV show. (Hey Abby, that reminds me: what about Rerun for NotD? Just joshing you!) I confess to thinking his name was Roger and people called him Rog when I was younger. I think Raj has some sort of royal connection, too. Raj, Raja, something like that. The whole Tahj thing is weird. I don’t like the placement of that H and would rather just see Taj. This is a cool name. I am not sure I’d ever use it myself, but would think it an interesting choice on someone else. This one is not for me. It’s not offensive to me in any way, it’s simply not one I’d use. 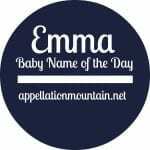 The name has a strong link in my mind to India and my family is not linked India or the Middle East, so I’d probably shy away from it for the reason, partially… and maybe also because I have a tendency to go for longer names. I’ve only heard it on a woman in the past, but it seemed like a masculine name to me even then, just by the sound. It’s very interesting to read that it has entered the top 1000 – there are other more familiar names to me that have never been that popular. An interesting name, indeed.